Roslyn (Roz) is a Managing Director in PwC’s Government, Regulatory Af­fairs & Public Policy office based in Washington, DC. In this capacity, she is responsible for the management of lobbying compliance in the U.S. and works to develop and direct integrated strategies to advance government affairs objectives on public policy issues. Roz also liaises with key stakeholders in Congress, federal regulatory agencies and the White House and works collaboratively with third party influencers and organizations in the public and private sectors on a broad range of initiatives. 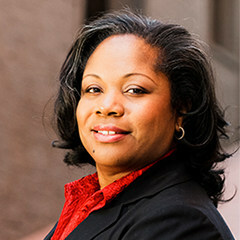 Her expertise on regulatory matters extend throughout the international network of the firm as she provides government affairs guidance to PwC counterparts in a variety of strategic markets. Roz brings nearly 20 years of experience working at PwC. She began her career as a tax consultant to domestic and international clients and helped to manage complex financial matters for leading companies around the world. Her technical and communications skills earned her a coveted role on an internal rotational program with PwC’s U.S. Leadership Team, where she supported the development of internal initiatives focused on brand, knowledge management, and communications around regulation of the auditing of public companies. Roz holds a B.A. in English and Psychology from Stanford University, a J.D. from The Univer­sity of Michigan Law School at Ann Arbor and an L.L.M. in Taxation from Wayne State University in Detroit, Michigan.